This year, more than any other, investing in the early stages of the County Championship feels like starting to watch a film after a couple of beers, an hour past your normal bedtime. You’ll see something, you’ll enjoy it, but at some point you’re going to wake up on the sofa wondering what the hell you missed. It’s not a problem. County cricket is there to (a) find England players and (b) ensure you don’t ever have to pay attention to football if you don’t want to. We like to put great emphasis on (a) in the early part of the season when batting is not easy and cases for selection can be made. 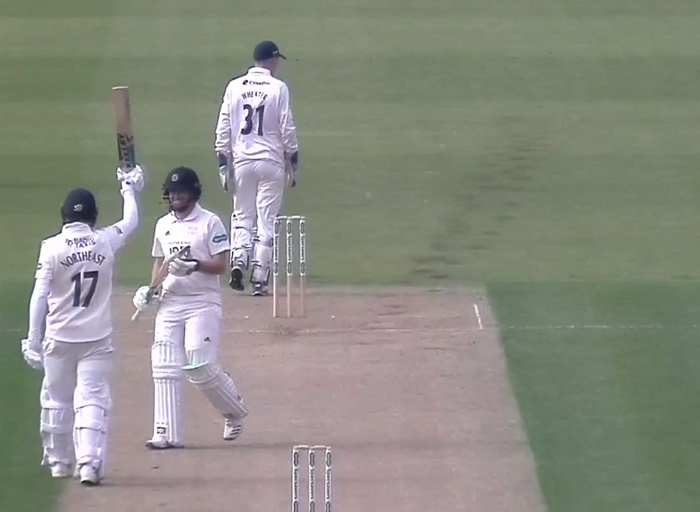 A couple of years ago, Sam Northeast wondered why no-one ever paid attention to how many runs he made at Kent and so decided to make lots of runs for Hampshire instead. He started last season extremely well, but maybe only as well as a bunch of other guys and so he still didn’t actually get all that much attention. After that, he continued his season by being quite rubbish. He played 10 Championship matches in 2018 and averaged 25. This season Northeast has made a very easy hundred against a not-very-good university side and then a not-very-easy hundred against a good Essex side in the first Championship match of the season. He made a daddy hundred, in fact. In an innings victory. That is an influential and important thing to do. We’d say that Sam Northeast’s performance was the most significant of the week, so we’re mostly talking about Sam Northeast this week. Sam Northeast’s main problem, to me, has always been his poor sense of direction. He started in the Southeast and then went Southwest from there. None of this sounds quintessentially Northeast to me. If he cannot get his directional head round the fact that Northeast means Yorkshire or Durham in the county cricket world, what chance does he have of judging line and length properly against top class bowling? You make an insightful and damning point that is unarguably correct. I believe now would be a good time to stop Division 2 and decide the promoted teams. Leaving Kent in Div 1? I’m all for that!! Aah, Somerset runners-up again. Hello, familiar and reassuring disappointment. Durham, top half of the table? Excellent.